What do you get when you cross a human with a horse (or a hamster, or a hummingbird)? You get any one of a number of fun anthropomorphic animals, also known as "furries" to their friends. From facial expressions to creative coloring, this book contains all the know-how you need to create anthropomorphic cat, dog, horse, rodent and bird characters. 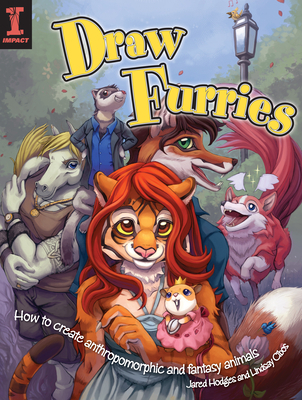 Packed with tons of inspiration--from teeny-bopper bunnies and yorky glamour queens to Ninja squirrels and lion kings--Draw Furries will help you create a world of crazy, cool characters just waiting to burst out of your imagination.